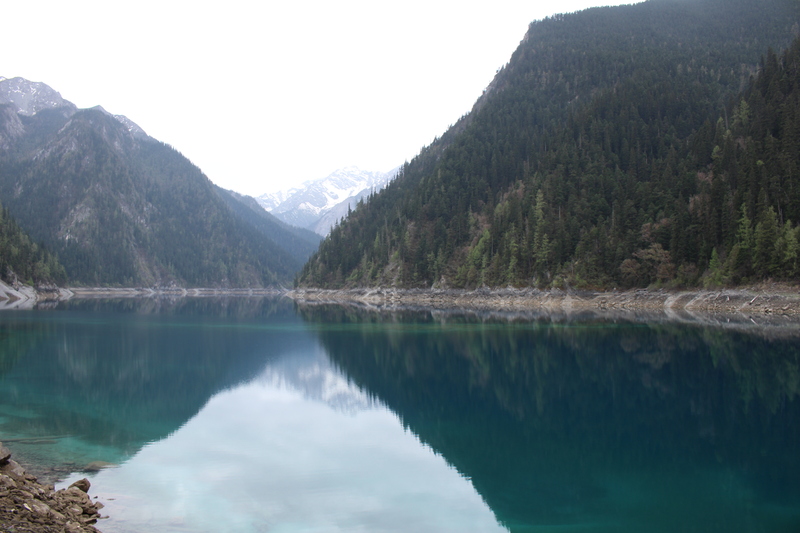 Oh a Jiuzhaigou We’ll Go! 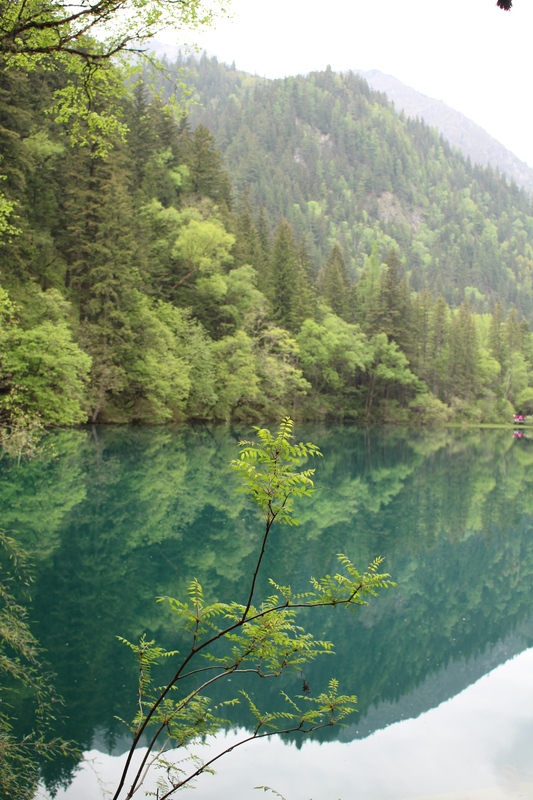 Tranquil blue waters and lush forests are juxtaposed with crowds of tourists and selfie sticks pointing every which way. 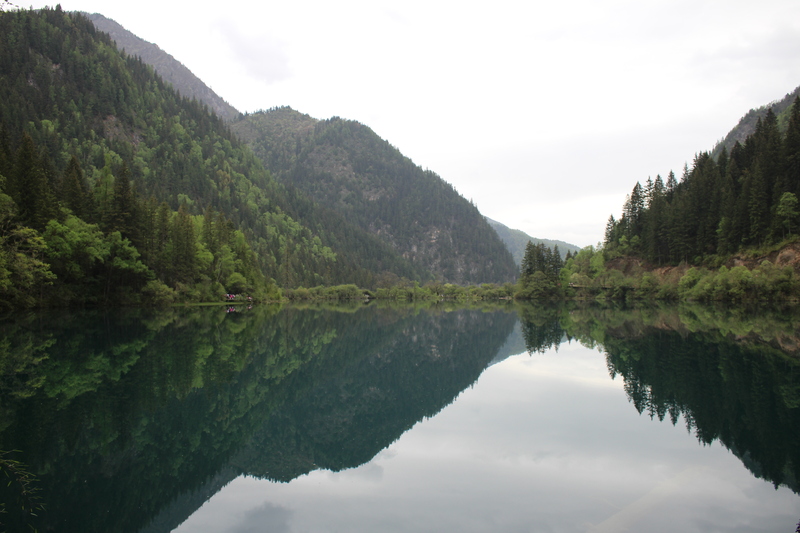 That sums up our Jiuzhaigou experience in a nutshell. 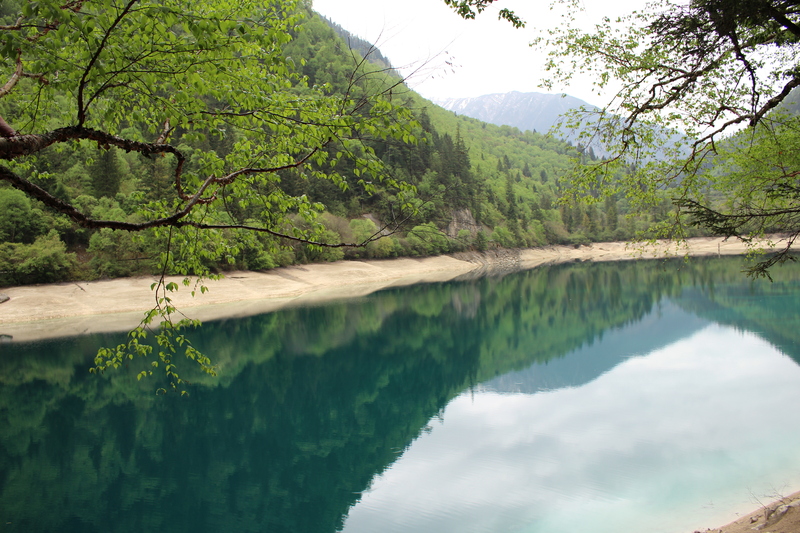 Jiuzhaigou – or Nine Village Valley – is a national park in China’s Sichuan province. 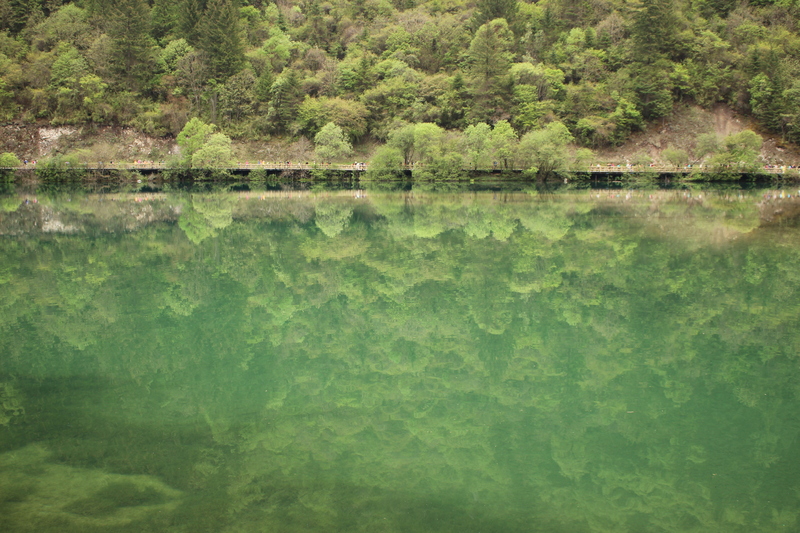 Here, Mother Nature puts on a spectacular show in transparent hues of blue, green, and everything in between. 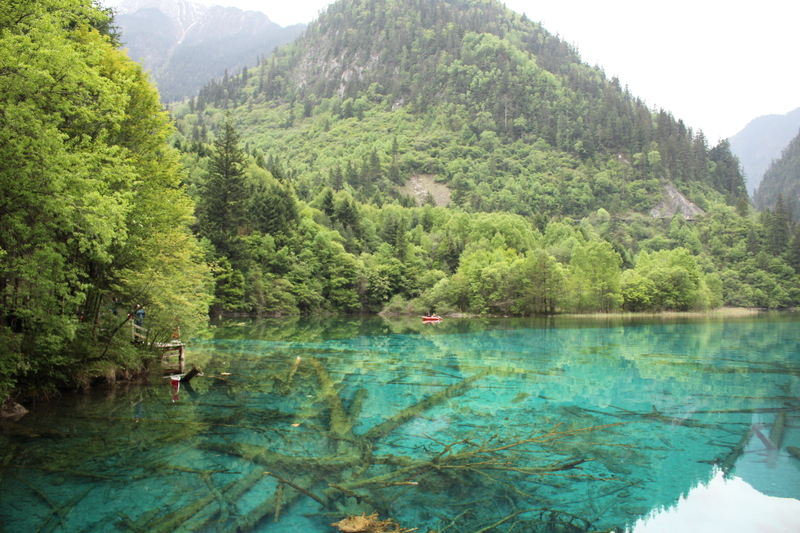 Calcification, magnesium, karst formations, and other geeky geological phenomena combine to create the perfect conditions for surreal clear blue lakes so beautiful that they send all the tourists in a mad dither to take the perfect selfie. Don’t let these photos fool you. We make the place look peaceful and isolated, but in reality it is overrun with many tourists. Everyone and their mom is here – literally, a lot of moms and grandmas are here. Be prepared to rub some elbows. We walked along the periphery of the lake behind a curtain of trees to escape the madness of the crowds. The silence provided much relief to our eardrums as we soaked in the serene scene before us. With the placid surface providing the perfect mirrored reflection of the sky above, it felt like our world was turned upside down. Staring into the depths of the clear blue waters, all was transparent in life, for Mother Nature has nothing to hide. Nice, the water is so clear and pretty!! I can even see the bottom of the lake.